Your satellite dish must be aligned to the 'Astra 2' satellites, 28.2 degrees East (Sky and Freesat dishes will already be correctly aligned) and be within range of the UK spotbeam (UK, Ireland and the near continent). Services are bundled together on various transponders, so when you tune your receiver, you'll receive not just the desired region, but others broadcast on the same frequency. Use the different parameters, such as "symbol rate" to tune your receiver. 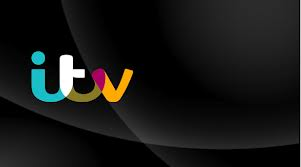 Unfortunately, most ITV regions are now simply labelled "ITV", so if your satellite receiver can't tell you the Service ID (SID) number for the channel and your receiver does not provide you with a 7 day TV guide for the service, you will need to wait until the next regional news bulletin to find out what you have. Symbol rates may appear differently on some receivers. For example "23000" should appear as 23.0 Mbaud on Sky HD receivers. Not all regions are available in HD. HD versions are highlighted in yellow. Scroll down the page for ITV2, 3, 4, Be, Encore and CITV.